You're my hero. 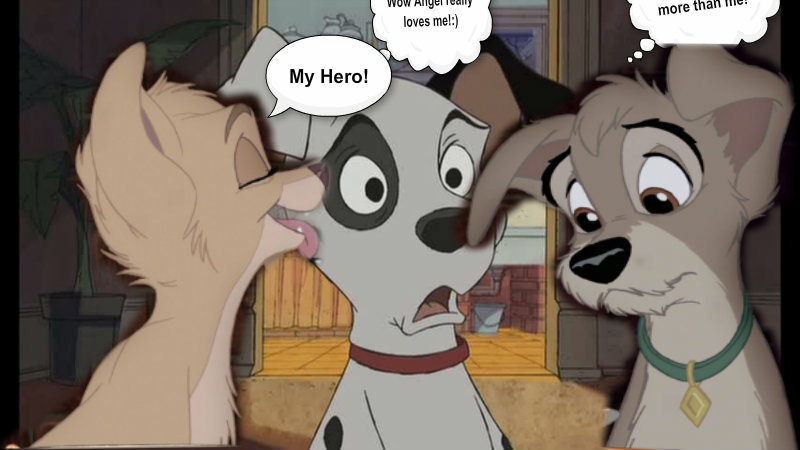 Just something I did of Patch, Angel, and Scamp! Hope u like it! 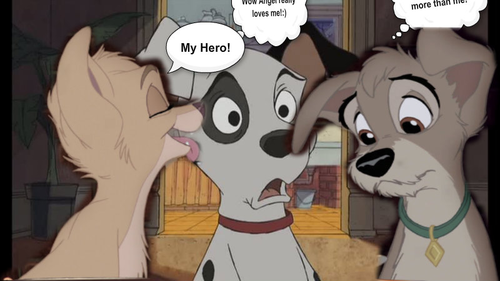 If u can't see what it says on Scamp's thinking bubble it says that Angel loves Patch meer than she loves Patch, and Scamp seems pretty sad to see Angel kissing Patch's cheek.. Wallpaper and background images in the disney crossover club tagged: disney disney crossover patch angel scamp 101 dalmations lady & the tramp ii crossover.